Kyle, Phil and Frank "Winning" at Top Gun 2011!!! 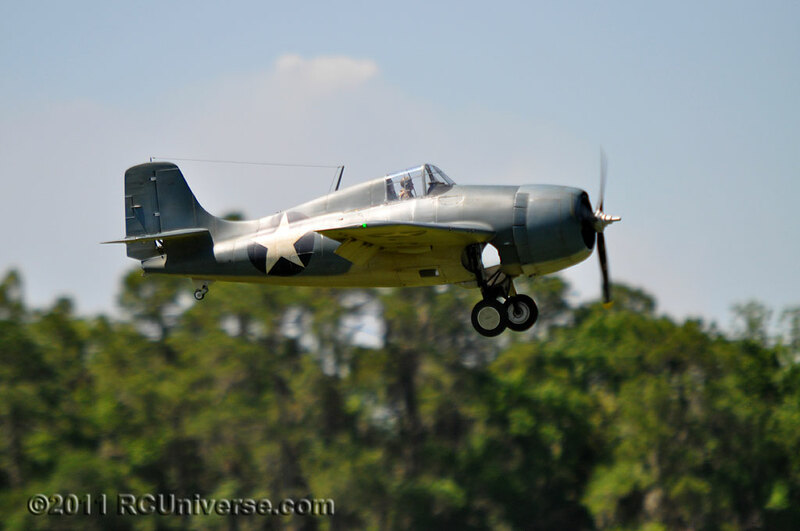 Congratulations to Kyle and Phil Goodwine, and Frank Harris on taking 3rd in the difficult and new Unlimited class, as well as Best Four Stroke Engine Performance and finally runner up for Peoples Choice for Best Military at Top Gun 2011, with your amazing F4F-4 Wildcat. All the hard work, experience and perseverance has payed in spades. 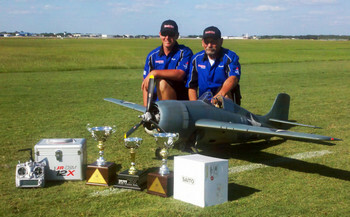 Phil Goodwine said this about the Unlimited class competition, "The top 3 in this class were seperated by 2 points". 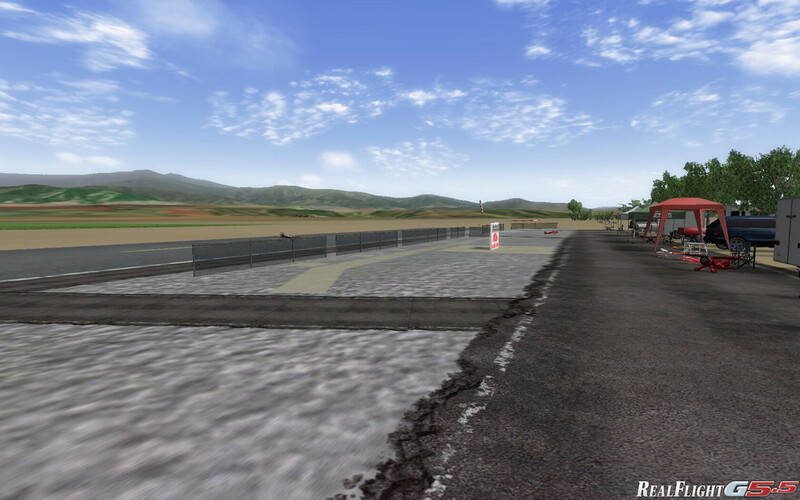 We've just added the History of the PVMAC to the website. This was written by board member Steve Parolla a few months back, and we're just getting around to posting it. If you've ever wondered how it all began, this is the page you'll want to visit. Its permanent home is under the "About PVMAC" menu item. 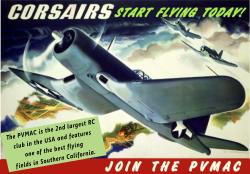 By the way, the vintage photos of rc magazines and ads featured on the history page are courtesy of http://www.airplanesandrockets.com/, who graciously allowed me to post a few on our history page. They have a large collection of old rc magazines and vintage articles up there for you to peruse. Enjoy. PVMAC Is An AMA Gold Leader Club! 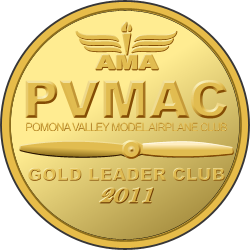 The PVMAC has been accepted as an "AMA Gold Leader Club". This is great news and very important to your clubs status amongst other clubs and this also means a lot to our local community and to the San Bernardino County Parks Department. Please extend a special “Thank You” to club members Tom Marcure, Greg Stockdale, Steve Parola, Kyle Goodwine, Joni Whitsitt, Sam Wright and others in helping get this accomplished. In order to recognize the leadership of the best model clubs, the Academy has established the AMA Leader Club Awards. These awards can be earned by any AMA chartered club, by meeting certain standards of community service and activity. There are three levels of AMA Leader Clubs: Bronze, Silver, and Gold. Once a club meets the minimum criteria, it qualifies for different levels based on performance. AMA has established 6 goals (one goal can be waived) and nine electives to obtain Leader Club status. The ultimate recognition, the Gold level, requires that all goals be met and Each goal must be documented. The West Coast Big Jolt started mid-afternoon Thursday when the big rig RVs started rolling in. 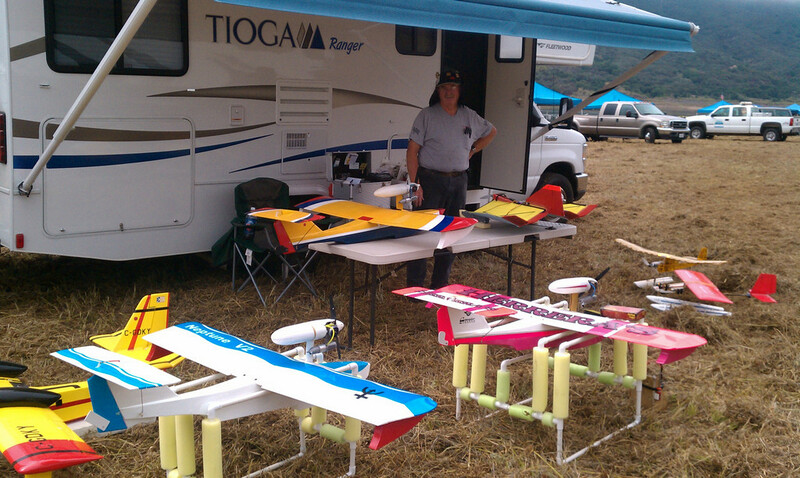 Vendors and pilots staged their spots in the overnight camping area and vendors set up their booths in the assigned spaces. All went smoothly and registration opened bright and early at 7:30 a.m. Friday morning. 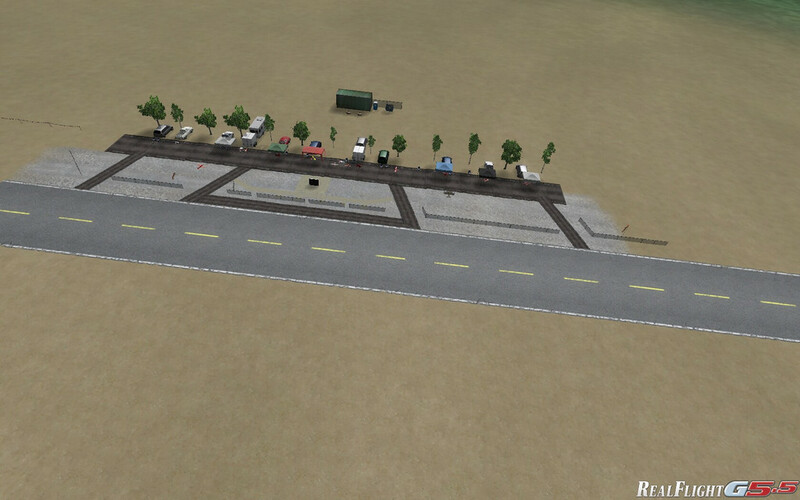 By mid-day, 14 vendors had staged their booths in the horse shoe shaped vendor area facing the flight line. 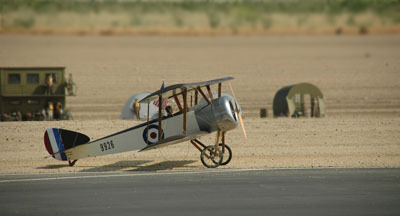 Pilots who arrived early grabbed the neat asphalt pits with imbedded tie downs for their canopies. 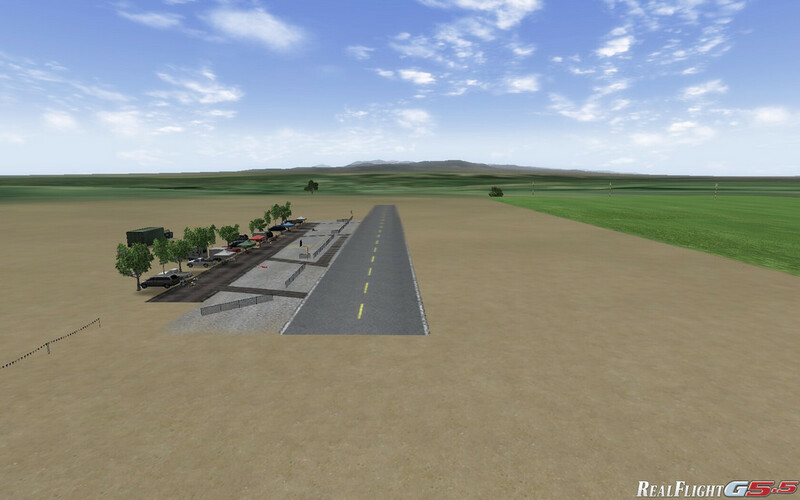 The pit area had been extended into graded soil and fortunately accommodated all 85 pilots and 156 aircraft. 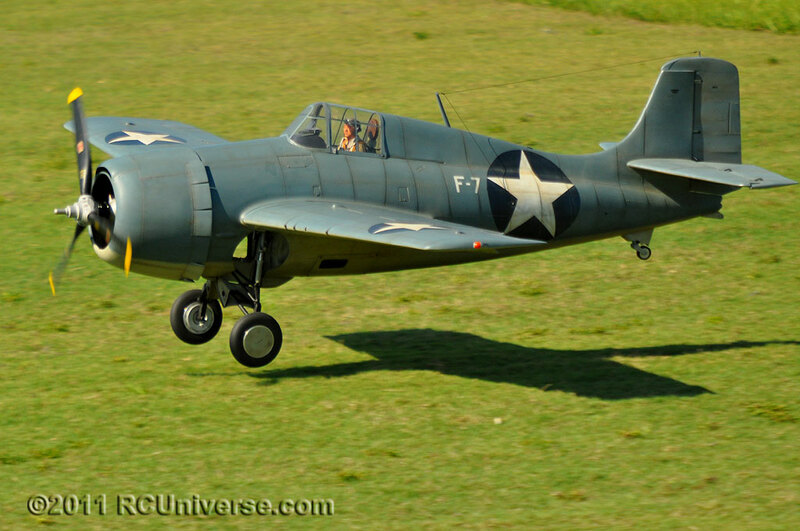 Open flying Friday opened at 8:30am with sessions blocked out for 3D and helicopters.The helicopter count was low and may be excluded next year to allocate more time to open flying. 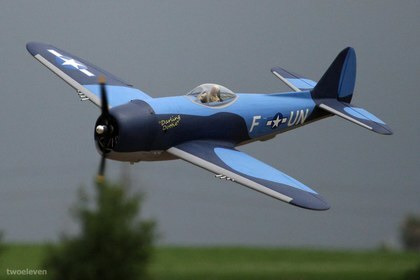 Aerobatic aircraft flew in the open session but were not able to hover block the race track pattern. This worked out well and during their specific 3D window, they could hover and do all the other cool maneuvers that they demonstrate. Friday night ended with a successful pilot mixer with Buffalo wings, Johnson Brats, and French fries made in the hangar. 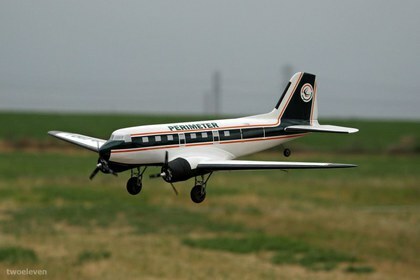 About 60 pilots, wives, crews and significant others enjoyed the aviation atmosphere in the hangar at the Chino airport. Our host were Sam Wright, Gordon Truax, and Ken Wagner. 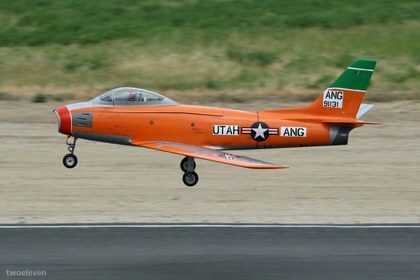 Ken or Wag’s owns the beautiful P-51 lady Alice. 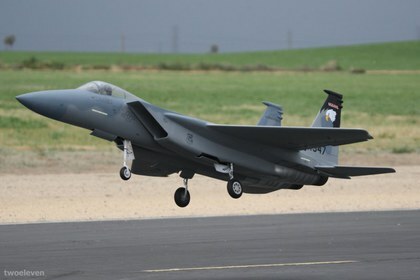 Saturday went off on time with the national anthem and the same schedule spotlighted by the noon airshow featuring an EDF Jet speed run with speeds over 225 mph recorded. 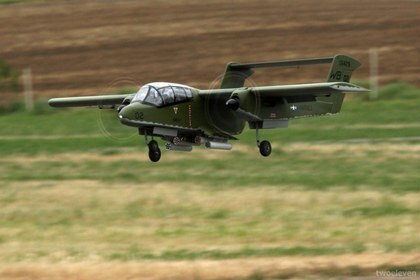 That awesome demonstration was followed by the PR-1 Pogo pylon racer from horizon. 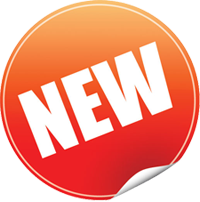 This is a new electric spec class in the NMPRA. 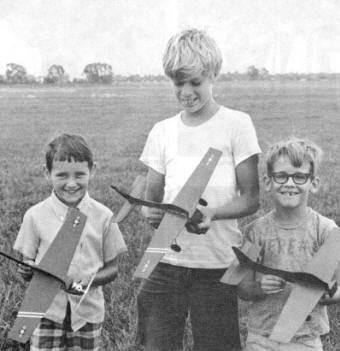 These little hot rods screamed around two pylons 400’apart at 95 to 115 mph. Saturday evening was again in the hangar only with sit down tables and table cloths for a great BBQ Beef, Pork, and Chicken dinner, with baked beans, salads and rolls. Of course the soft drinks and cold beer flowed throughout the evening. 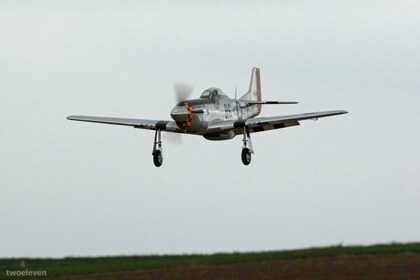 The evening was topped off with a super auction and the top item was a ride in the lady Alice P-51. 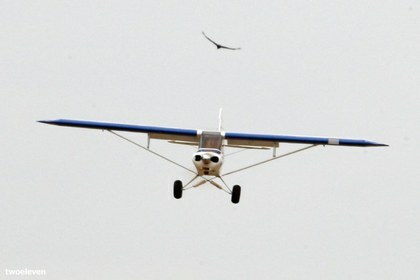 Sunday started early, and a nice touch was some soft Christian music followed by the national anthem and open flying. 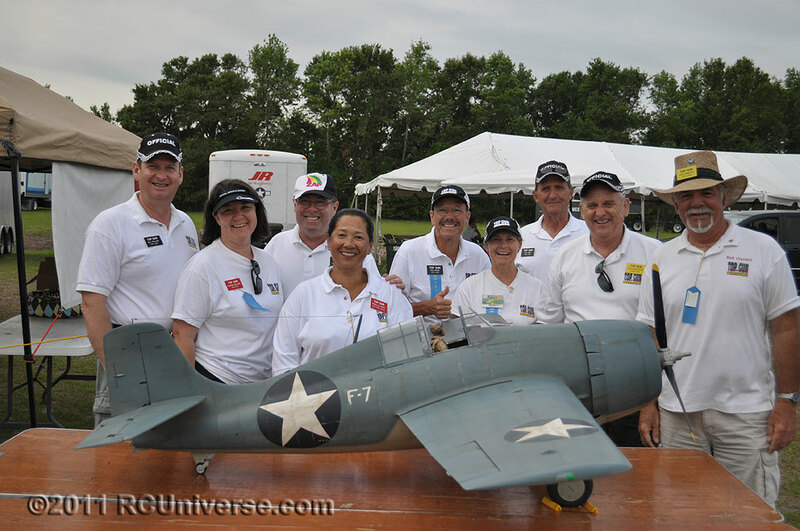 Around 2:30 we pulled raffle items and awarded the pilots the awards. 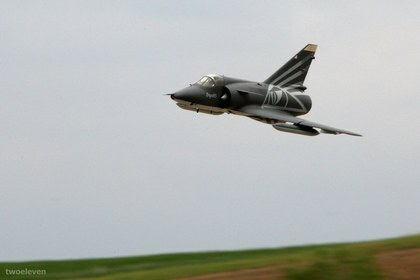 The awards were based on the type of the aircraft and popularity. 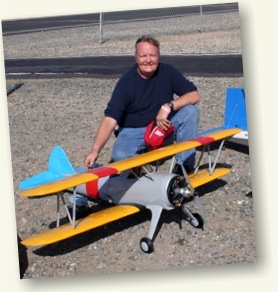 Model Airplane News, ZAP Adhesives, Hobby People and Horizon were major sponsors and really supported the event and the growth of the electric flight aspects of this great hobby. The weather cooperated with 7 to the mid 80s with plenty of sun. Soft breezes came up around 2:30 but were right down the runway as always. 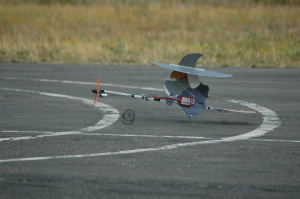 A few things we tried that were very successful was the addition of the halontronic-1 Halonfire extinguishers on the flight line and our newly constructed AC and DC charging station with Lipo sacks provided by Xtreme power Systems. We also had a 5 gallon salt waterbucket that claimed about 6 battery packs for the entire 3 day event. 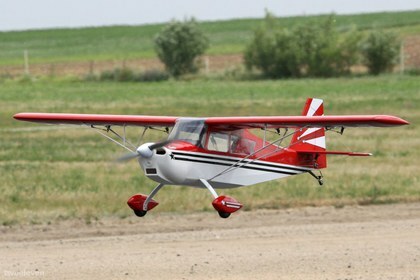 Over all the pilots seemed to understand the care of Lipo batteries and all flew well with only two minor mid airs between some foam aircraft. We learned a lot this year and Phil Goodwine, myself the CD, and the rest of the Big Jolt crew in those green vests will fine tune the event for 2011. 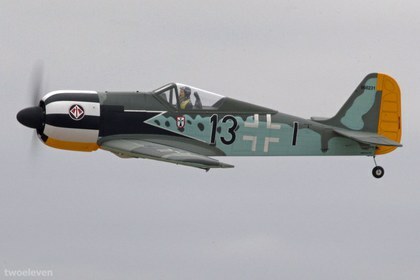 Next year we anticipate over 100 plus pilots and will have a refined form of online registration and that also will qualify for an assigned pit number on a first come first serve basis. 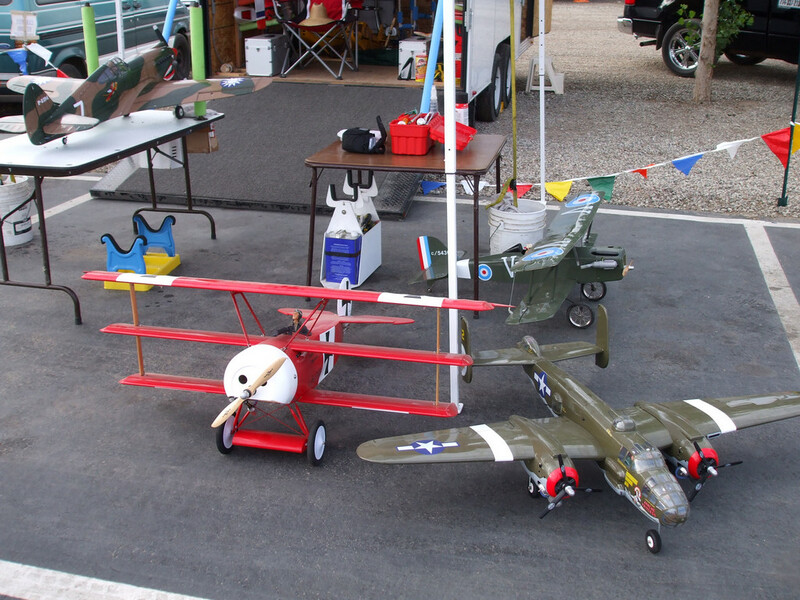 On behalf of the president and entire membership of the Pomona Valley Model Airplane Club, offers a special thank you and gratitude is extended to all the pilots and vendors that supported our first year effort for a West Coast Electric RC Experience. Lastly, a hats off to the tremendous support of all of our sponsors who provided products and event sponsorship. Without your support, this event would not be possible. Big Jolt Coverage on YouTube. PVMAC Photo Gallery Has been Added! 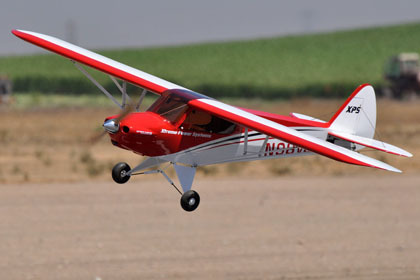 Pictures from the Jerry Ortego Memorial Scale Fly In that took place back on June 5th and 6th have finally been posted. These fantastic photos are courtesy of our clubs very own Marty Nelson, whom you will often see at just about every club event with his trusty camera in hand. There are over 300 pics to browse through for this event. Thanks again Marty for sharing these fantastic photos. Click on the link here, which will take you to our photo gallery, and find the Jerry Ortego Album.